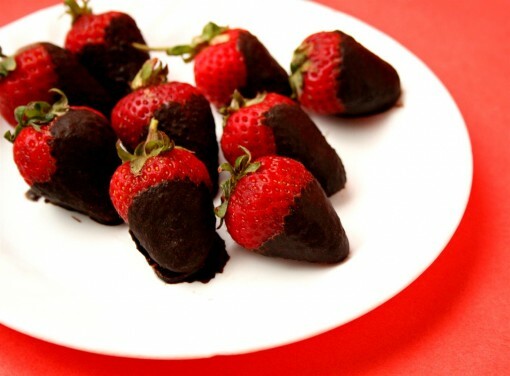 Sugar-Free Chocolate Strawberries was posted on April 25th, 2012 and is filed under Dairy Free, Desserts, Gluten Free, Kid Friendly, Low Carb, Recipes, Vegan. This entry has 7 comments. You can follow any responses through the RSS 2.0 Comment Feed. During the week I try to stay away from sugar, but that doesn’t mean I stay away from desserts. Skipping out on chocolate is not Charissa style. 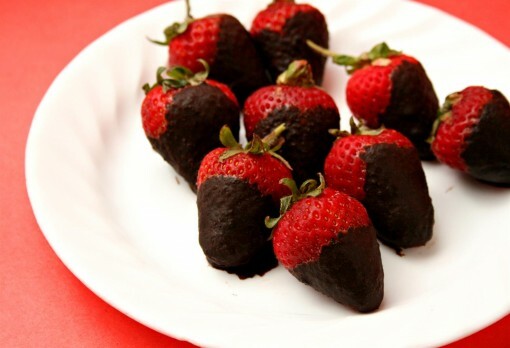 The other day I made a chocolate dipping sauce for some fresh strawberries. I love this because it’s a delicious, sweet dessert AND it’s packed full of antioxidants. The chocolate sauce has coconut oil in it…this is what makes the chocolate harden like that yummy Magic Shell stuff. I love the crunchy shell on the fruit…next time I’m going to dip banana chunks in it! Melt the coconut oil. Add the Truvia and cocoa on very low heat until the Truvia crystals are completely dissolved. Spoon the sauce over the strawberries and let harden in the fridge. This makes enough for about a dozen strawberries, depending on their size. You can add more or less cocoa depending on how dark you like it. Enjoy! Ever since I started pinching my pennies (as I save for my schooling) I’ve stopped buying magazines. 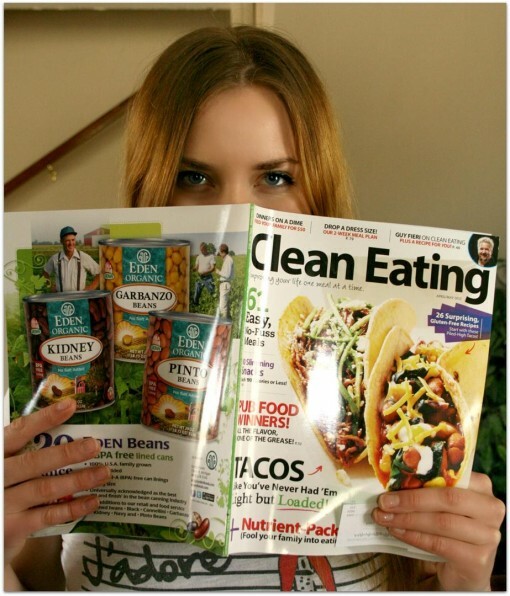 I love health, running, fitness magazines with great recipes and fitness routines. I find they’re great for that extra motivation/inspiration to keep on with my healthy lifestyle. Thankfully, during this health magazine famine, I am still getting one of my favourites! My sister gave me a subscription to Clean Eating it ages ago and I’m still enjoying it. Clean Eating has the best recipes…not one of them has ever failed me! What’s a sweet dessert/snack you enjoy? Do you have a favourite health/fitness magazine? These look delicious! I need to try this out! What a great idea for that “magic shell!”. Gonna have to try this out! Agree, fantastic chocolate idea. I’ve been trying to use coconut oil more and never thought to add it to coco powder. 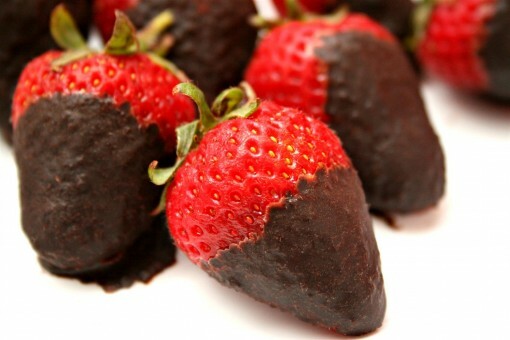 Chocolate-covered strawberries are a favorite of mine. Yum! Oh my! I need to make this! !